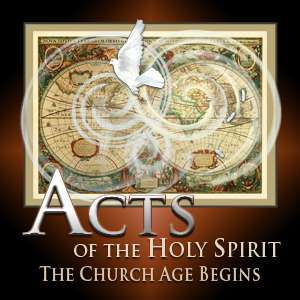 As we begin to wrap up a side study on the issues of authority tied to our study in Acts 4, we gain more insight into how a Christian is to submit to authority and how to handle hostilities by applying spiritual wisdom in a pagan world. The book of Daniel gives us many illustrations on how we are to handle situations in our lives when the authorities over us may conflict with our beliefs. Should we obey God or man? As we see in this lesson, the real issue is to maintain our trust in God no matter what the outcome. As we see Peter and John released from prison, they do something very interesting - they hold a prayer meeting. This brings us into a review of what the Bible says about prayer and what Scripture-based prayer is all about. When the Word of God says "pray without ceasing", what does that mean? In this lesson we look at the mechanics of effective prayer: confession, gratitude, thanksgiving, intercession, and petition. The Importance of Prayer. Acts 4:25-37. October 11, 2011. As we review the mechanics of effective prayer: confession, gratitude, thanksgiving, intercession, and petition, we see these components applied in a powerful way by the apostles in the way they pray. But as believers in the Church Age, are we to include each of these components every time we pray in order to have an effective prayer life? As we observe more of these early believers, their actions and decisions cause some questions to arise. What was their motivation? Were their actions in keeping with a form of socialism sanctioned in Scripture? As we learn more about the importance of prayer, we are reminded of the impact our prayers have when we are focused and properly motivated.